“Think Luxury. Think Global. 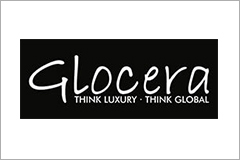 With Glocera add Lavishness, Eminence, Elegance and comfort to your routine life with gorgeously crafted bathroom tiles, quality sanitaryware, bathroom vanities & bathroom furniture. Chhabria & Sons are one of the main dealers of Glocera Sanitaryware and bathroom cabinets. Download our exclusive Glocera catalogues to have a look at complete range of sanitaryware and bathroom cabinets, or just login to our website to buy Glocera Sanitaryware & Bathroom cabinets online with ease.